The Bee’s Knees? Feh. You Want Cypress Knees. 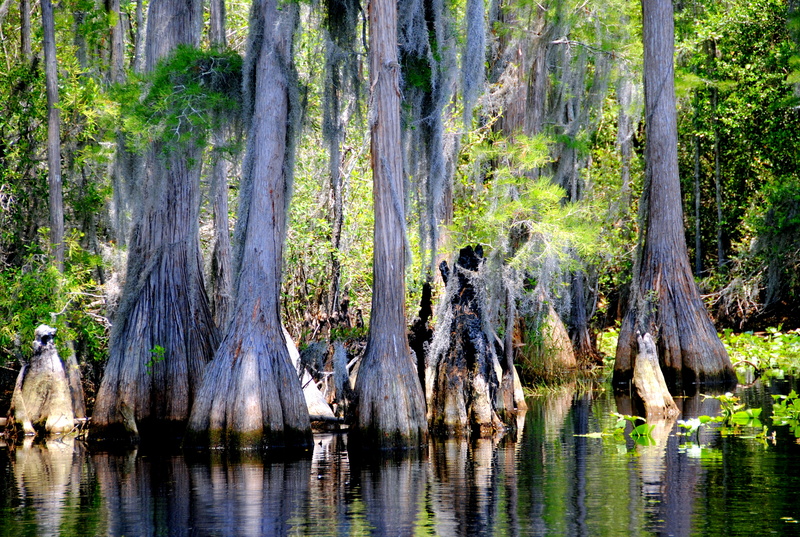 As we learned in our last episode/post, the Okefenokee is named “trembling earth” because the cypress trees grow on peat, not soil. A simple poke makes them bounce in the water like a buoy. As the Native Americans navigated the land they bobbled along this powerful and trembling earth. The trees themselves are awe-inspiring. And evidently science-defying. There’s no official understanding for why cypress trees are broad at the base. Perhaps it’s for balance. It’s incredible how tall and lanky they grow. 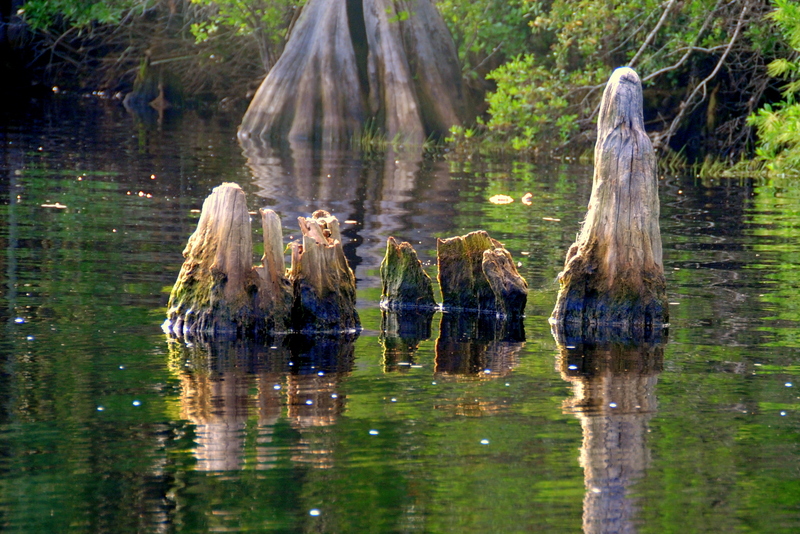 The knobs that pop up through water–Cypress knees–either help the trees stabilize or breathe; it’s unknown. They poke through the water several feet away from the tree they support. A walk through a dry portion of this Georgia swamp displays the sprawling network of roots that stay hidden underwater.